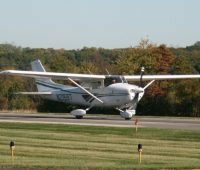 Details about Sky Manor Airport, a New Jersey airport in Hunterdon County where you can take the kids to watch planes and more. Introducing Schafer Sports Center in Ewing Township, a sports center for gymnastics, dance, soccer, swimming, yoga and sports classes in Mercer County. 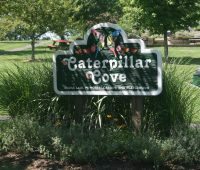 Details about the Finn Road Park in Pittstown as part of our series on Hunterdon County Parks and Playgrounds. 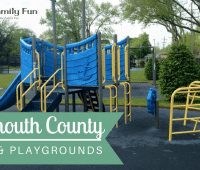 As part of our series on New Jersey Parks & Playgrounds, we provide this listing of Monmouth County Parks & Playgrounds by town. 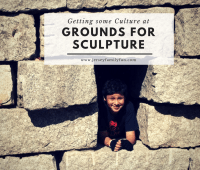 Details about Grounds for Sculpture, a unique art garden in Mercer County part of our series on New Jersey day trips and having family fun in New Jersey. Details and pictures from The Glow at the Monmouth Park Racetrack, a new Halloween event in New Jersey for families. 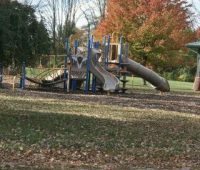 Details about the Lebanon Township Memorial Park in Lebanon Township as part of our series on Hunterdon County Parks and Playgrounds. 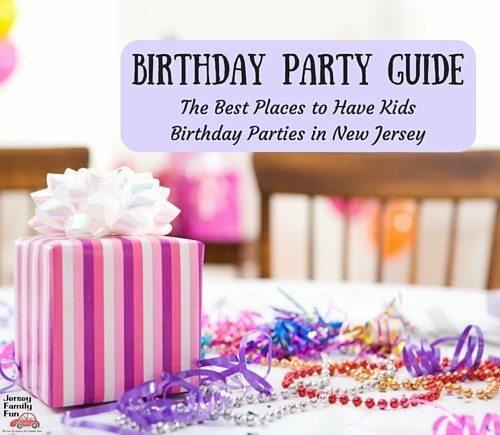 Jersey Family Fun’s series on Middlesex County Parks & Playgrounds continues with a review of David B. Crabiel Park in Milltown, New Jersey. 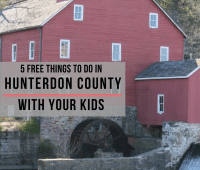 We’re sharing ideas for free things to do in Hunterdon County part of our series helping families find frugal family fun in New Jersey. 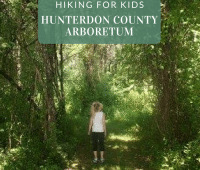 We’re sharing tips for taking kids hiking as well as information on hiking trails at the Hunterdon County Arboretum.